Everything that has breath, the Creation will when it is recreated in the last harvest home in Christ’s coming. Only God, who is the humblest of all, can be praised with full heart and throat for all His benefits to us. 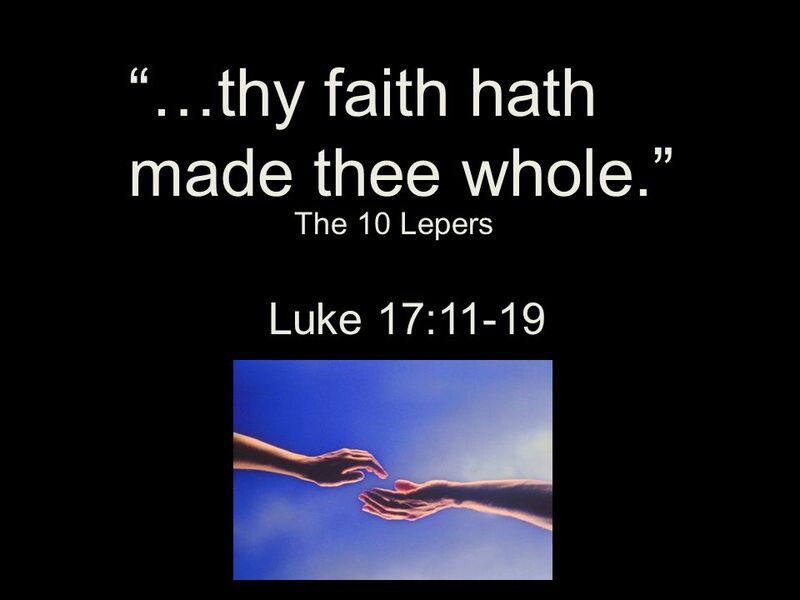 One leper returned to Jesus to give Him thanks and praise at His feet. Only this Man, Jesus, could handle the praise and in the healed leper’s praise was the consummation of the healing of his soul. So many, like the other 9 healed men, want the benefits from the Lord, but not to return to give Him thanks. None of us is entitled for all has been given. Once we think we are entitled, we have lost the title of believer as we look only to ourselves. The one healed man returned and gave thanks to the Giver of all. The Word of Christ, as it drew forth the disease from the man’s body, drew forth his soul to the one who forgives for us to live. Our faith, by God’s gift in Christ is a minority movement in the world, away from the world, to serve in the world. “Grant that we may love what You have commanded and desire what You promise, that among the many changes of this world our hearts may be fixed where trues are found, through Jesus Christ, Your Son, our Lord…”. May Your Word shine forth undimmed into the night of these last days of great distress. And on this day Clement of Rome was martyred by drowning, wrote: “Let us fix our eyes on the blood of Christ, realizing how precious it is to His Father, since it was poured out for our salvation and brought the grace of repentance to the whole world” (1 Clement 6:31).